Si Woo Kim What’s In The Bag? We take a look in the bag of South Korean 23-year-old Si Woo Kim. South Korean 23-year-old Si Woo Kim has fast become a hit on the PGA Tour winning twice – his first was at the 2016 Wyndham Championship and then he followed that a year later at the 2017 Players Championship where he won by three strokes. He has also been in two playoffs but lost both of them. He heads to the Masters looking to improve a pretty poor Major record – he has played in nine Major championships but only made three cuts. The Korean golfer has just announced his Peter Millar scripting for the tournament. Take a look at his outfits below. Below we have taken a look at the clubs the youngster uses to try and improve that record. Kim has been seen testing the new Callaway Epic Flash Sub Zero driver as well as the TaylorMade M5 at the Waste Management Phoenix Open, however right now it appears he has gone back to his Callaway GBB Epic version. 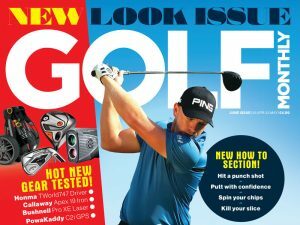 He has put the new Callaway Epic Flash Sub Zero fairway wood in the bag as well as Callaway’s new Apex Pro 19 irons. Previously he had been using Apex MB’s. He then carries chrome Callaway Mack Daddy 4 wedges and an Odyssey Milled Collection RSX 001 putter. We are yet to confirm what exact ball he puts into play.